Howie was born with gastroschisis, a birth defect of the abdominal wall. 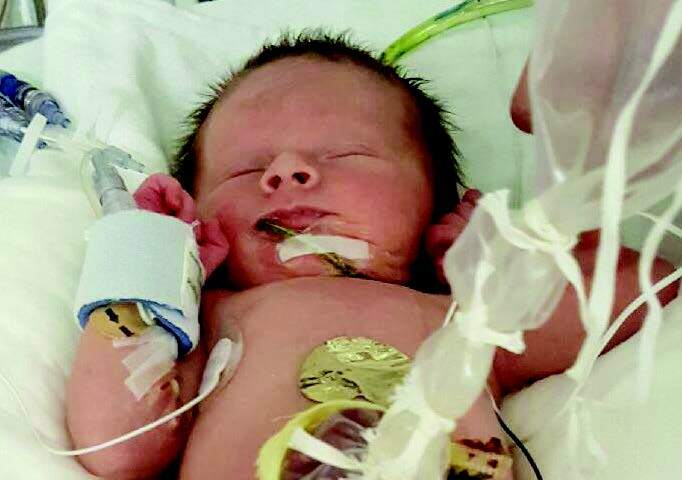 He was transferred to Renown Children's Hospital's NICU because surgery was required to, "put his intestines back in his abdomen." Though he had a battle ahead of him; he thrived, with no residual issues thanks to the equipment funded by northern Nevada's Children's Miracle Network Hospitals. Renown Children's Hospital is the only children's hospital in northern Nevada and offers a variety of programs and services designed specifically to care for families in our community. It has the region's only Children's ER and Pediatric ICU. Renown Children's Hospital is also the only hospital affiliated with Children's Miracle Network Hospitals (CMNH) in the region and local CMN Hospitals' programs and events directly benefit children in northern Nevada.